This picture was commissioned by some guys after they saw the picture I drew for Megan Lee. 🙂 It was about time I drew something worthwhile again heheh. Updated the picture because they wanted a few more changes after saying it was done. C’est la vie! 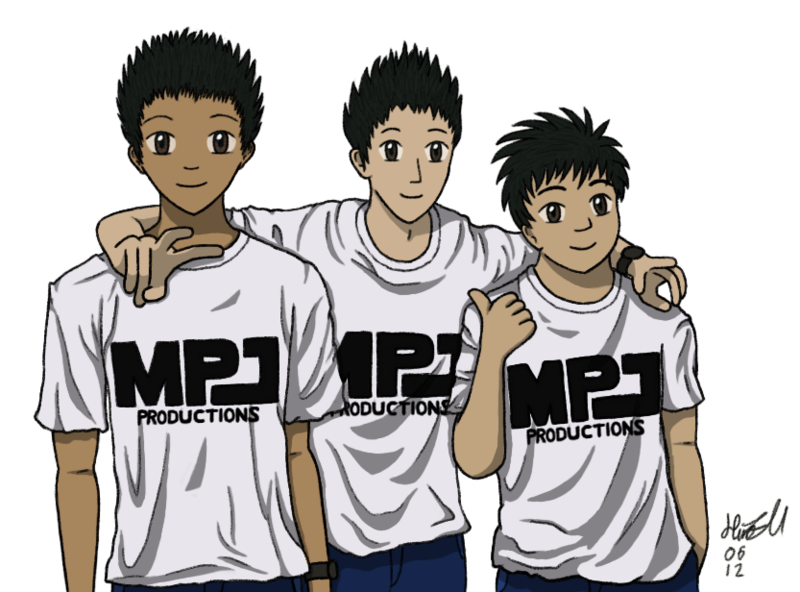 The middle guy’s skin tone got a tweak and I reverted the hair of the guy on the left to be what it was when I first drew it out lol (you’ll notice it went through three changes in the video).